'No longer a solar company.' Is Tesla still a player? Tesla Inc. CEO Elon Musk bills his company as "the world's only integrated sustainable energy company" that pulls off the remarkable feat of producing clean electricity, storing it in batteries and building the cars that run on it. The trouble is that the production part — solar power — seems to be in steady retreat. Once a market dominator, Tesla has steadily lost market share to rivals, and last week it abandoned one of its only remaining sales channels. In its all-out effort to become a major carmaker, some analysts say, Tesla's business to create clean energy using solar power has been thrown to the roadside. Tesla "has been taking steps to shrink its solar business and make it as small a part of the overall company as possible," said Pavel Molchanov, an energy analyst at financial services firm Raymond James. "For all intents and purposes, it is no longer a solar company." Tesla says reports of its solar business's demise are greatly exaggerated and that it is just taking longer than expected for its audacious bets to pay off. And yet the company is lagging behind the sky-high expectations it set three years ago. 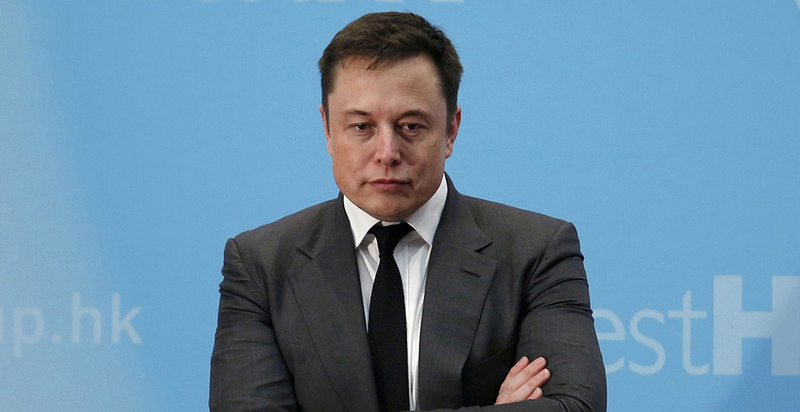 That is when it made a risky acquisition of its sister company, SolarCity Corp., for $2.6 billion and took occupancy of the giant solar factory that SolarCity had promised to build in Buffalo, N.Y. That year, 2016, is also when Musk unveiled the solar roof, a sleek alternative to traditional solar panels, and promised it would soon hit the market. Since then, the business that was SolarCity has seen its dominance as a rooftop solar installer disappear. On residential roofs, its market share dropped from 33 percent in 2015 to 6 percent last year, losing its leader title to rival Sunrun Inc. It remains the leader in commercial installations, though its share of that market has also plummeted, from 13 percent to 6 percent, according to data from analyst firm Wood Mackenzie Power & Renewables. SolarCity/Tesla, like its competitors, struggled with the expense of finding new customers after the bloom of early adoption faded. The company's strategies to overcome it have been both dramatic and fitful. First, it laid off much of SolarCity's direct-sales workforce as too expensive. Then it launched an in-store marketing alliance with Home Depot Inc. but abandoned it after four months. Meanwhile, Musk settled on the company's almost 400 auto showrooms as the ultimate cross-selling opportunity — a place where a customer dazzled by Tesla's cars could lay hands on its solar shingles and become a convert. Last week, Tesla announced it would close almost all of its stores and move to online sales for all of its products, from cars to batteries to solar shingles. The motivator behind the move? Shaving costs wherever the company could in order to deliver a $35,000 Model 3 sedan, the mass-market car that everyone agrees is the linchpin to Tesla's future. Tesla maintains confidence in its ability to sell anything online and says that 75 percent of its solar and solar-plus battery sales are made either through the web, by referral or by a car buyer. 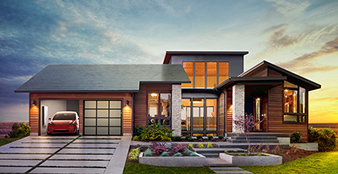 "The majority of our residential solar and Powerwall [battery] orders are already placed outside our retail stores, including online or via referral, and we believe this shift to online sales ... will result in the best, most seamless customer experience in the industry," said a Tesla spokeswoman. Others are not so sure that Tesla knows what it's doing. With the move to online sales, "I expect that its installation figures will continue to plummet as a result," said Allison Mond, an analyst at Wood Mackenzie. Also hanging in the balance with Tesla's new strategy is the factory in Buffalo, where the state invested heavily in hopes of a manufacturing renaissance that is in a constant state of delay. The RiverBend plant, a 96-acre site at a hairpin turn on the Buffalo River, began as a job-creation project and a chance for a shuttered steel plant to be reborn as a center for high-tech green manufacturing. In 2013, a solar manufacturer called Silevo Inc. and another startup promised to invest $1.5 billion and create 850 jobs. The next year, SolarCity acquired Silevo and declared that its technology would be the core of the country's largest solar manufacturing plant, pumping a gigawatt of panels off its floor every year. SolarCity, which was then riding high as the nation's largest rooftop solar installer, raised Buffalo's expectations even higher, promising that 1,500 jobs would arrive in 2015. "The construction at RiverBend is a testament to the progress we have made in reshaping and revitalizing the economic landscape of Buffalo and western New York," Gov. Andrew Cuomo (D) said as the building began to be framed. "The progress at SolarCity is turning Buffalo into a world leader in solar energy." Then, in 2016, Tesla acquired SolarCity, creating new parentage for the Buffalo plant for the third time, and agreed to spend $5 billion over a decade on the solar plant. Tesla also brought in Panasonic Corp., its longtime partner in producing batteries, as a tenant that would build solar cells for Tesla and sell on its own. Meanwhile, as deadlines kept slipping, the state increased its investment, from an initial $225 million to $750 million. The construction of the massive building was bankrolled and is owned by Empire State Development Corp., the state's premier economic development agency. The factory is leased through an intermediary to Tesla for a decade at the rent of $1 a year. In return, Tesla and Panasonic are pledged to bring 1,460 jobs to the factory by April 2020, or pay a $41 million penalty that year and every year that they fall short. The plan for the factory remains opaque. Tesla declined to comment for this story on its plan, though it said in its most recent quarterly report that it planned to ramp up production of the solar roof later this year. Locals hear that a total of 700 or 800 workers are at the site between Tesla's and Panasonic's operations, but employees are under nondisclosure agreements, making the number uncertain. Officials, while hopeful, are wary. Robin Schimminger, a Democratic state assemblyman representing Buffalo, called it "a debacle." "It's a huge investment of state dollars, and so far not very much to show for it," he said. As Tesla continues to accelerate its auto plans, with a new electric pickup due to be unveiled soon, its costly solar investments remain in limbo. "Tesla wants to be cutting costs where they can," said Molchanov, the Raymond James analyst. "And one of the easiest places to do that is shrinking the size of the solar business."